So you may or may not have been wondering where I have been these past few weeks. 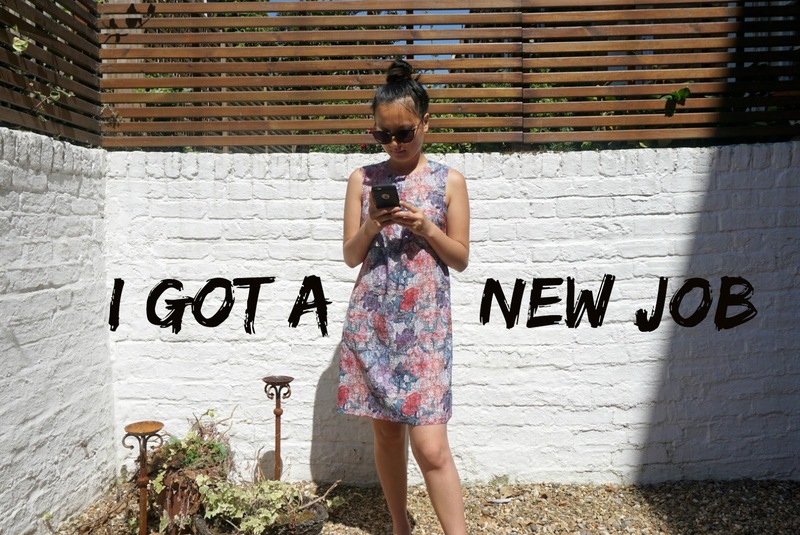 If you have been following me on any social media or you have been reading my blog for the past few months then you will know that I have been looking for a new job. I was actually made redundant from my last job in February which is something I didn’t talk about a lot as I felt that there was still quite a stigma around it. From about February up until June I constantly applied for jobs, attended face to face interviews and had telephone interviews. I was a bit ignorant as I thought that I would get a new job straight away. What I didn’t take into account was the financial year in April, many people applying for one job and the lack of jobs for the department I wanted to work in. I also wanted to make sure that the job I went for was 100% right for me and that the company felt I was also 100% right for them. I did go on many interviews which were all beneficial as you can never have enough interview experience. I learned something about interview techniques everytime that I attended one. There were times where I was close to getting a job however, there was always something that made me feel like it wasn’t the right job. In May I actually started doing freelance work for a family friend which was really handy in terms of money and also experience. I always feel with marketing you need to always be in the loop as it is a very fast pace job. Marketing is always developing especially with the impact that the internet has these days there is always a new way to market your company. I was doing marketing for an osteopathic and naturopathic clinic which was completely different from my previous job. This actually came in really handy as it helped me to tailor my marketing to this particular sector. Originally I had worked in the technology sector which is completely different to the health sector. This is one thing I enjoy about marketing you can transfer your skills to any sector you just have to adjust your writing style to that sector. I did freelancing from May until now as I’m still wrapping things up now which I am hopefully aiming to have finished by the end of August. After my holiday at the beginning of June things really started to heat up in terms of my job search. I was getting a lot closer to finding a job and it was only a matter of time before I was offered one. At the beginning of July, I went for a job interview which went really well. I was then invited back for a second interview where I was, later on, offered the job. I am now a marketing & sales assistant for a New Zealand meat distribution company. It quite a lot different from my previous job in terms of the sector. However, it is also very similar as I am doing a bit of everything which I like because it keeps me on my toes and I feel like I always have something to do. I started my new job on the 16th July which was almost a month ago. I can’t quite believe I have been there for almost a month as it has gone so quickly. These past four weeks have been super busy as I have been getting used to my new job role as well as finishing up the freelance work I have been doing. Every day since I started has been nonstop as I have had so much to do at work during the day and then I have just been too exhausted in the evening to write a blog post or film a video. However, that is all about to change as I feel like I am almost finished with this freelance stuff as well as being fully settled into my new job. This means that I will have more time to really focus on my blog and channel again which I have been meaning to do for such a long time. I seriously cannot wait to create more content as I feel like since last year I haven’t been producing as much as I could. I’m not sure why I think it’s just down to being busy more than anything. I am really looking forward to this new chapter in my life and I hope you stick around to see what happens next…. "Review | Inamo Soho, Pan Asian Restaurant"